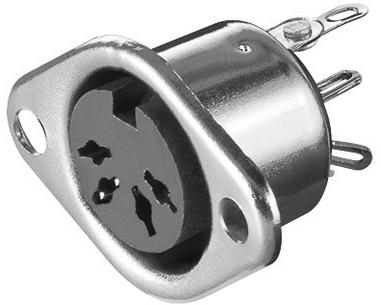 3.5mm Stereo Jack socket. Use as PCB or panel mounting. Complete with nut. Switched contacts. 4 pin DIN plug, Nickel plated pins, fully screened with plastic handle & cable sleeve. Black Durable sheath over lapped copper screen. 4.5mm diameter. Inner:4 x 7/0.1mm. Highly flexible Black PVC Sheath over lapped screen: Copper 2 x 32/.01mm. Inners: 2 x 13/0.1mm. Outer diameter 2 x 2.7mm. Miniature Toggle Switch 4P2W (4 pole changeover). ON-ON. Dims: L22 x W12.6mm Body height 10.5mm. 6.35mm Bush. Rated at 5 Amps.125VAC, 2 Amps 240VAC. 12 solder tags. 4 Phono (RCA) Panel Chassis Sockets in two rows, Nickel Plated with solder tags and mounting eyelets. Good Quality.